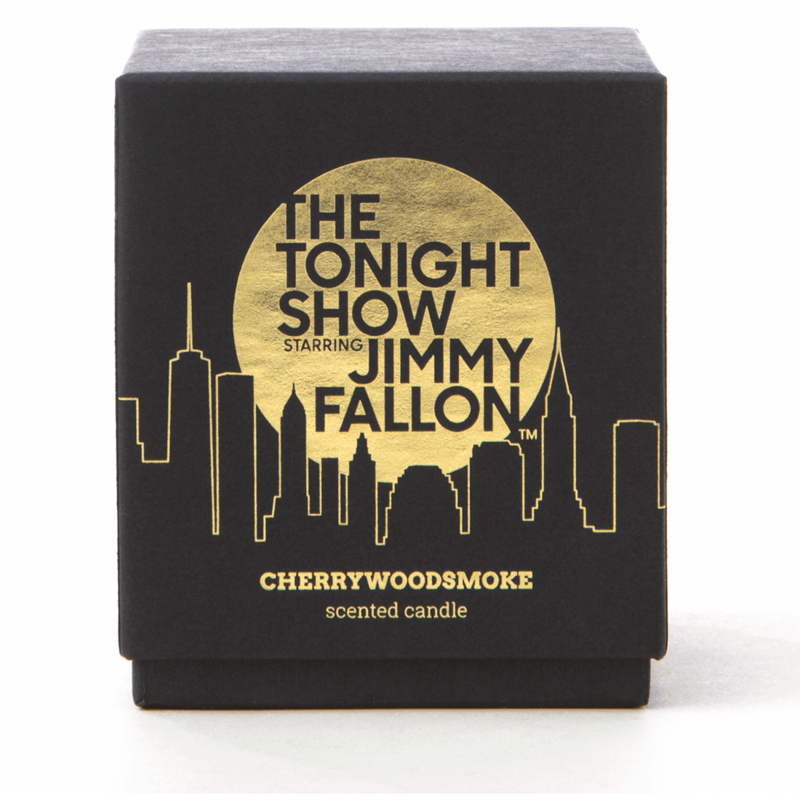 New York based fragrance experts Joya have teamed up with NBC’s “The Tonight Show Starring Jimmy Fallon” to create a signature scent and candle named Cherrywoodsmoke. 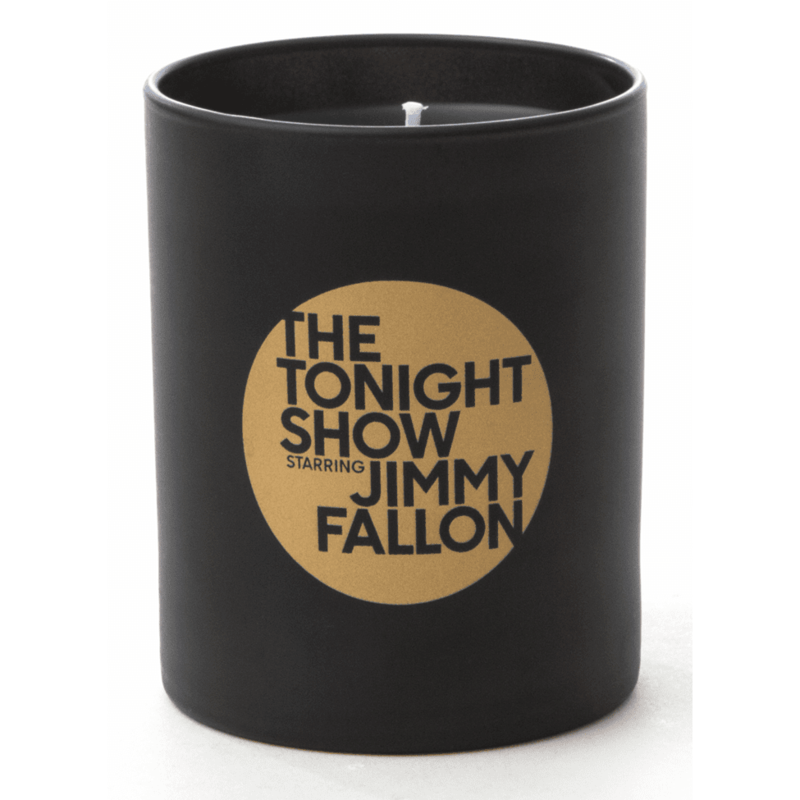 The fragrance is inspired by the cherry wood cityscape behind Jimmy’s desk and the red leather audience seats. 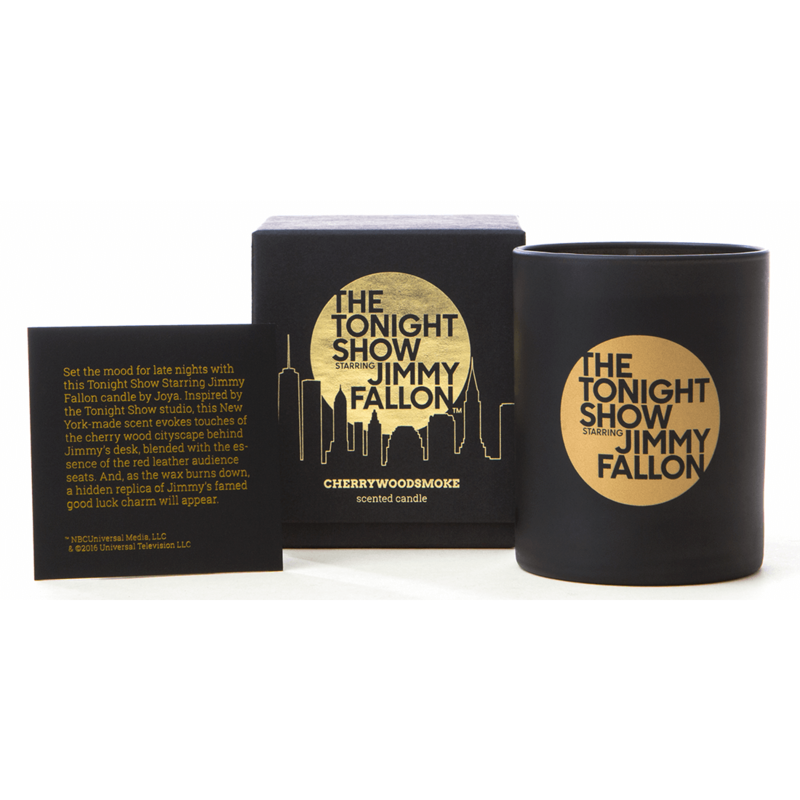 Inside the vessel you just might find an image of a lucky golden shamrock. 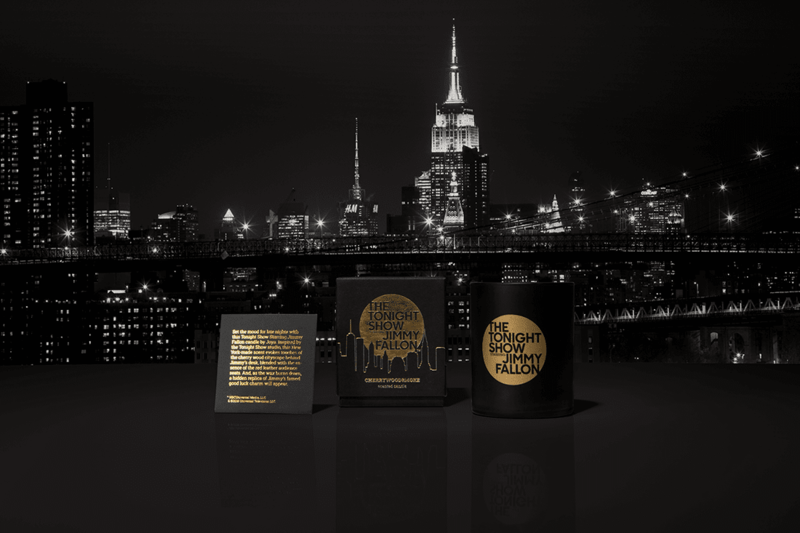 The candle is available only at the NBC Official Store at 30 Rockefeller Center, Joya Brooklyn flagship and at joyastudio.com priced $40.